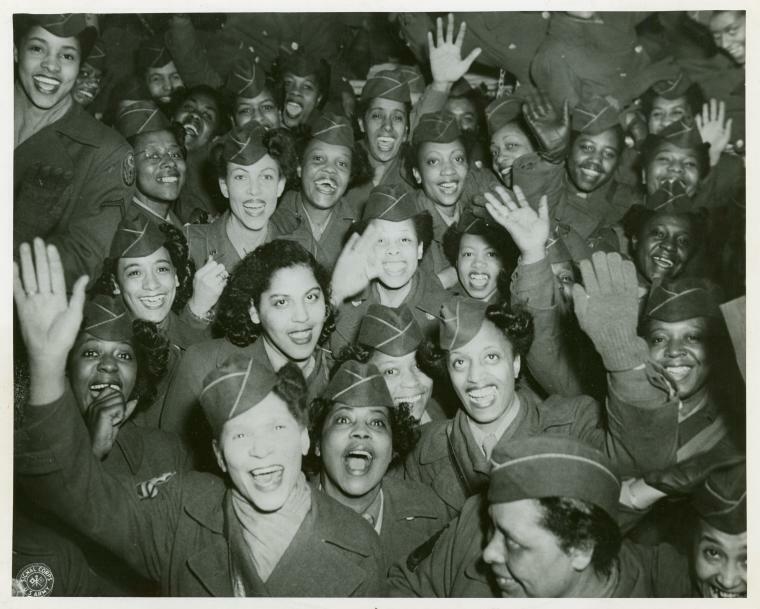 A crowd of African American Women’s Army Corps members waving at the camera, Staten Island Terminal, New York Port of Embarkation, March 13, 1946. Image source: NY Public Library. And check out the Women In Military Service For America Memorial Foundation’s web site here. This entry was posted in Feminism and Politics, Feminism and the Workplace, Feminist Legal History. Bookmark the permalink.